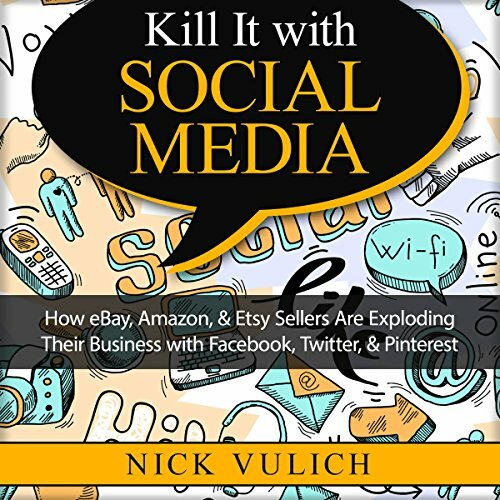 How important is social media to success selling on eBay and Amazon? It's sort of like asking, "Are you a glass-is-half-full, or a glass-is-half-empty type of person?" If your glass is half full, you're going to scream, "Damn right!" You have to be on social media, because that's where the people are. If your glass is half empty you're going to whine and moan, "What's the point? I'm selling my stuff on eBay, not on Facebook and Twitter." Online sellers are divided on the need for social media, its uses, and its outcomes. Some sellers will tell you they couldn't have gotten where they are without it. Others will say, "Hey! I tried it, and it didn't make any difference. My sales stayed the same." I'm going to try not to take sides here. My goal is to give you the information you need to implement social media in your eBay business should you choose to do so. My primary focus is going to be on Facebook, Twitter, and Pinterest because they are the three powerhouses behind social media today. Facebook and Twitter get more of the space because they are the social media sites everybody goes to. Pinterest gets a bigger mention because it is the one sellers say actually works best. Does that mean you need to use all three? Or that you should focus exclusively on Pinterest because it's what works best for most sellers? No. It means you should start out slow. Pick one or two social media platforms and spend 10 or 15 minutes on them two or three days per week.